I am an Electronic and Mathematical nerd. I have fond of playing with them. Mathematics is the language by which we can universalize the universe in just one equation(Ex. Equation of General Theory of Relativity and Equation of String Theory). Doesn't is fascinating!!! Everywhere there is just a physical form of mathematics. The second thing I like Electronics because we can solve our everyday problem using Code and bunch of electronics. I like to union this both field and that results in my passion for Machine Learning. We can make something very useful by using just some linear algebraic equation with electronics. 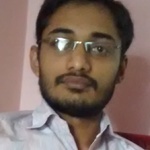 I am a professional MATLAB Programmer and Embedded System Designer. I have a two-year experience in MATLAB. 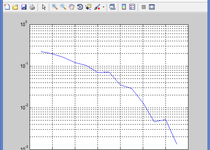 I have completed many projects related to MATLAB. 1. Face detection using PCA algorithm on MATLAB. 2. Change detection in Image using NSCT Decomposition and PCA Method. 3. 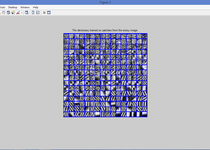 Change detection in Image using fuzzy c - means algorithm Method. 4. Image denoising using DCT dictionary, Global dictionary and using the K-SVD algorithm. 5. Image compression using JPEG. 6. Image Compression using JPEG-2000. 7. Image compression using a single dictionary learning algorithm (Machine Learning). 8. Implementation of MOD algorithm. 9. 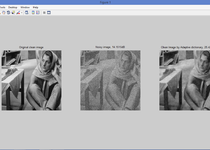 Image compensation using my proposed method. 10. Recovery of compressed Huffman coding bits using modified recursive Huffman coding(Proposed by me). 11. 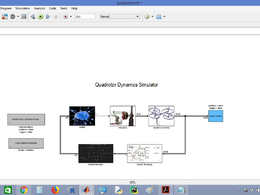 Implementation of Turbo Encoder and Decoder in Simulink. 12. 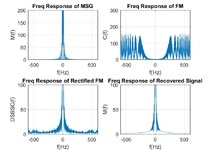 Implementation of OFDM Channel in Simulink. I have also two-year professional experience as the Electronics system designer. In that experience, I have completed projects. 1. Implementation of Single axis board using TI's (Texas Instruments) motion controller driver and TI's piccolo series microcontroller. 2. Two-axis board using Trinamic motion controller and Atmel's Micro-controller. 3. Three-axis board using Trinamic motion controller and TI's Controller specially designed for the Motion controlling application. 4. Quad axis board using Nippon pulse motion controller and SAM series microcontroller. 5. BLDC Control board using TI's microcontroller and motion controller driver. I have two-year experience in PCB design as well. 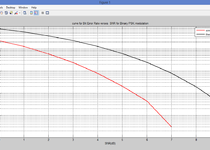 I use Altium designer to design PCBs. All five projects' PCBs are designed by me in Altium designer. I have also designed small circuits like breakout board for FT232 and FT232H. I am the professional transcriptionist, translator, expert in data entry, professional mathematics problem solver, PDF editor, Fillable PDF maker, Typist, and PDF Conversion. I am very sharp with my skills. You will get your work done accurately and in very less time. I am here to satisfy my customer need with my excellent capability of work and to enhance my ability to work with more challenging work. I am looking for a long-term business relationship with buyers. Do any type of MATLAB Programming. He is good. Helped me out even though it was critical! Thank you for the great work. I like to work with you. Dinesh is very prompt in replying and will go above and beyond to meet your job requirements. It was a pleasure doing business with him. Thanks for the great work. It is a great time to work with you. Very pleased with the continued support Dinesh is providing to solve the issues. His knowledge and willingness to explore new ways to solve the problems is commendable. Nice person to work with. Thank you Dinesh. Thanks for your support as well. Because of your support, I can learn new things also which I haven't faced till now. It just a great time to work with you. I wish we will work more together in the future. Thanks. Dinesh is very knowledgable. He understands the task very quickly and comes up with the solution. He is very patient to answer every question and to clarify the doubts. He is a very nice person to work with. He is on time and very accommodative. I can recommend him to anyone. Thank you for the great review. It is because of your supportive attitude. Ramya is a great person to work with. She always gives the full information regarding task so we can easily understand her task. It's nice to work with her. He will find the solution! Very good at his work! He will get things done in time! His works are elegant and super easy to understand. I highly recommend him not just because of his high technical skills also because he return the job on your closing day as well. Thanks for the great review. It is great time to work with you. Extremely cooperative and hardworking. Thank you. Thanks for the great work. I like to work with you. All the best for the future of your work. Thank you for being committed to the program and delivering a seamless lesson. Thank you for your great work. It is great to work with you. Dinesh did great job on this article. The article describe very nice process and has many charts, diagram and code to make easy to understand material. Thanks for great review. It was great time with you. You have given me great work, that work also improved me lot. Thanks for the great work. excellent!!! thanks for your work! Thabks. It was great time to work with you. I wish we will work together in future also. Help with a math lab assignment. Great work, Dinesh went beyond and above the task. Excellent Matlab skills and communication skills. I highly recommend him. Thanks for great review. This all things occurred because of your support. It was great to be with you for the project.